Watch How Stunning This 2017 Benelli 302R Looks! 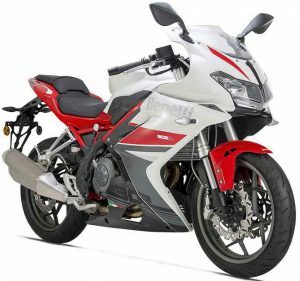 European bike-maker Benelli of Italy will launch the 302R in India in 2017. The 2017 Benelli 302R now appears in the teaser video intended for its fans. The company’s manufacturing unit in Talegaon, Maharashtra will assemble the 302R. The bike can cost around approx Rs. 3-3.25 lakh (ex-showroom). The company may increase the production of 302R after its official launch. Earlier, Benelli first displayed the 302R at the Auto Expo in February 2016 and will launch the bike in India sometime around March 2017. Thus, 2017 Benelli 302R will join the 300 cc club which is the most lucrative mass-market sports motorcycle segment of India. 302R is Benelli’s first fully-faired motorcycle with just over a quarter-litre engine. It looks sharp and agile in the two-minute video, in which the bike also displays its ability to perform stunts such as performing a wheelie and ripping the racetrack. In addition, the video also shows 'composed' cruising of 302R on the road. The upcoming bike borrows the same engine from its’s naked sibling - the TNT 300. The 302R gets power from Belelli's 300 cc, inline, twin-cylinder engine that is mated to a six-speed transmission. The fuel injected engine delivers 36 bhp of max. power and 27 Nm of peak torque. The disc brakes on both wheels will handle the braking duties with an Anti-Lock Braking System (ABS) which further enhances the braking. The front suspension system comprises of inverted forks whereas a mono-shock arrangement is on the rear. When launched, the 302R will take on the likes of renowned brands in this segment such as KTM RC 390, Kawasaki Ninja 300 and Yamaha YZF-R3. These bikes will fiercely compete to get the biggest pie of the 300 cc sports bikes segment in India in 2017. Home » Auto News » Watch How Stunning This 2017 Benelli 302R Looks!